Alien Scene setup for in-game model. Armorines was a game based upon an Alien invasion. 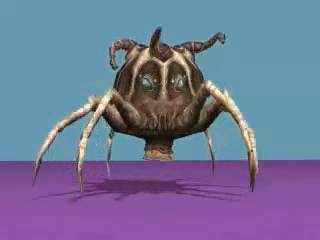 My main work was to model and animate a range of Alien creatures. - Concepting character designs and animation in 3D. - Creating custom skeleton rigs. - Developing constrained/'inverse kinematic' rigs. - Final in-game character animation.